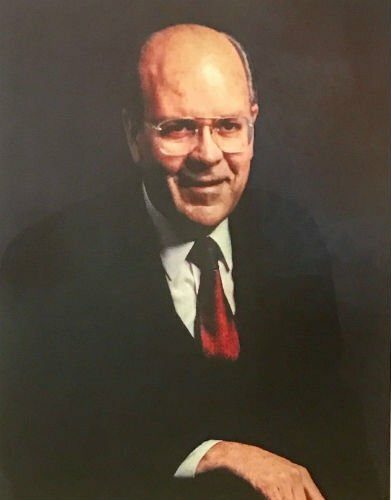 Charles W. Johnson, founder of Johnson & Johnson Law Offices, starting practicing law in Las Vegas in 1963 and established his expertise in wills, trusts, and estates. He pioneered the Living Trust and gained community-wide respect during his prolific legal career in Nevada. Charles served in many positions before retiring. Most notably, he served as the State Chairman at the American College of Trust & Estate Counsel. He was also the Chairman of the Nevada Law Foundation (1991-1995) and the State Bar of Nevada, Taxation Section (1985 – 1986). Charles graduated from George Washington University School of Law in 1963 with his Juris Doctorate and was awarded a Fellowship at the American College of Trust and Estate Counsel. He spoke German and is remembered for his legacy of legal expertise in Nevada. I would highly recommend Johnson & Johnson Law Offices to tend to any trust and/or will needs that you may have. They are professionals in their industry. It was a sincere pleasure dealing with them and knowing I could depend on them to take care of business and get it done. There Let me first start with a very enthusiastic "Thank You" to Ryan Johnson, of the Law Offices of Johnson & Johnson! I am extremely pleased and satisfied with the outcome of my case regarding my interest in my parents' Living Trust...I would strongly recommend him to others without hesitation. Professional, knowledgeable, considerate, responsive, and reasonable in cost. All the qualities you look for in an attorney. I have referred all of my friends and family to Johnson & Johnson. They treat you like family. It is very noticeable that they have been in the business for 3 generations now. My wife and I opened our trust with Johnson and Johnson. They made the process very simple and effective. The peace of mind having a trust with a company that has high integrity is awesome! If you need a probate law firm use these guys. I have personally never had a more kind, thoughtful and prompt experience with any professional, let alone a law firm. My emails were answered the same day, if not within the same hour! My situation was probate, and I desperately needed representation and some serious advice. I couldn't have found a better attorney in Ryan and I will forever be grateful. In a sad and 'thoughtless' situation, I am so thankful to have called Ryan Johnson. Thank you Ryan. Just.....thank you. Place your full trust in the attorneys at Johnson and Johnson Law Offices! In a day and age when integrity and honesty may be difficult to find, (especially when dealing with the legal community), you can put your mind at ease with this law firm, with the knowledge that their clients' best interests truly come first in everything they do. I would not hesitate to refer to these kind men and excellent lawyers. please give us a call at (702) 384-2830 or contact our office using the form below for a free initial consultation.